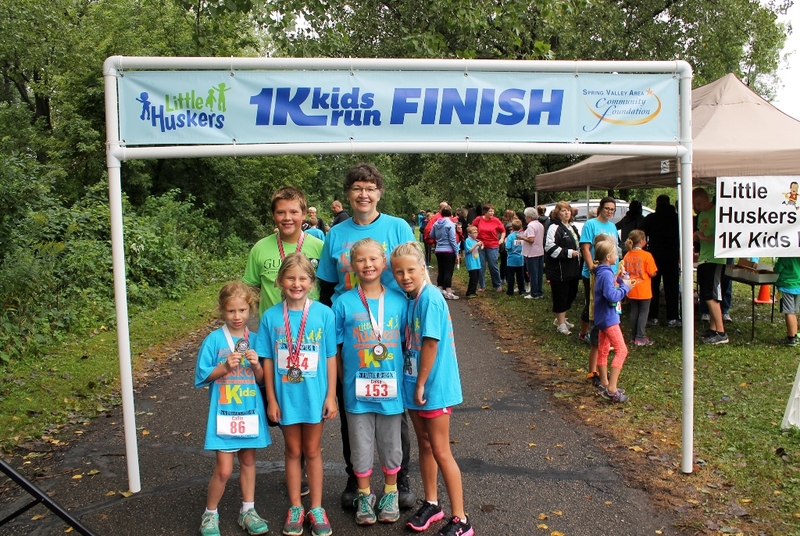 Sue Kolling with her grandchildren at the "Little Huskers" race in Spring Valley. Sue Kolling is giving back to the place she calls home. She has volunteered in her community and at work, raised her two entrepreneurial sons, and now enjoys time with her grandchildren who are close to her in Spring Valley. This is just the beginning of the legacy she will leave. 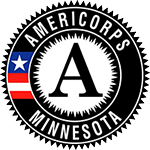 Kolling has left a bequest to Spring Valley Area Community Foundation (SVACF) and Southern Minnesota Initiative Foundation (SMIF) that will impact the community and region for years to come. After actively participating on various boards in her community for many years she was instrumental in the launch of SVACF, an affiliate fund of SMIF, to support the longevity and vibrancy of where she grew up. She led the volunteer board for six years to support a robust launch. Now her legacy will live on through her bequest. Giving comes naturally and Kolling attributes that to her parents. When Spring Valley needed to raise a significant amount of money for their public library Kolling made a gift in memory of her husband. Now when her grandchildren go the library they see their grandfather’s name inscribed on the memorial wall alongside the donor’s names. They never had the opportunity to meet him but this helps connect them to him. Kolling also was one of the original founders of the Spring Valley Area Community Foundation, to help launch the fund. Kolling instills the role of philanthropy in those around her, especially her grandchildren. “When SVACF was just starting, the board members would walk in parades and hand out information, I made sure to have my grandchildren walk as well. This is their community and their future and they learn by example. I hope that when they are old enough and start their careers that our local region will offer them the opportunity to live work and grow their families here." Sue Kolling served on SMIF’s board of trustees for six years. SVACF is 1 of 27 community foundations and an affiliate fund of SMIF.